Domenico Galati and Franco Alonzo, alias “Mimmo & Franco” (one Calabrian, the other Roman), will welcome you in this evocative location, in retro style. 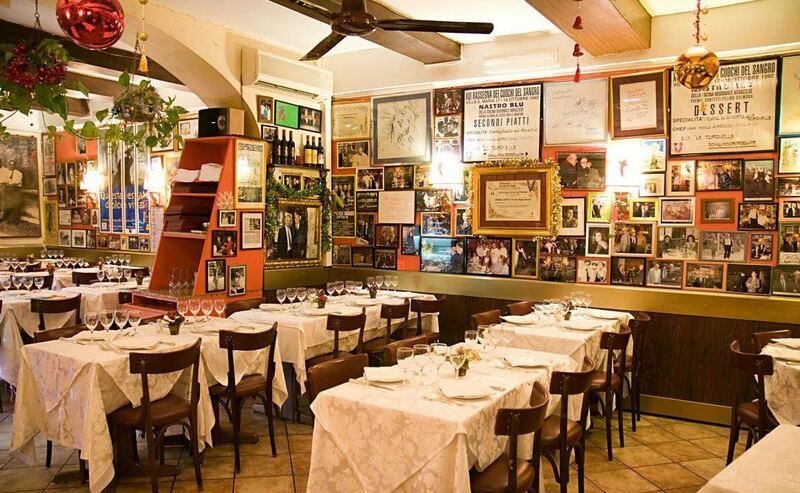 They both inherited the restaurant from Nicola Ambrosini, a master of the Roman cuisine and a great commis de cuisine from Monteferrnate. From its foundation in 1870, as specified on its sign, many people visited Le Tavernelle. In the last seventy years Science passed by, in the guise of the Boys of Via Panisperna such as Fermi, Segrè, Pontecorvo; Politics, in the guise of Giancarlo Pajetta and the President of the Italian Republic Giorgio Napolitano (who actually lives in the Monti neighborhood) and Cinema, in the guise of Federico Fellini in first place. 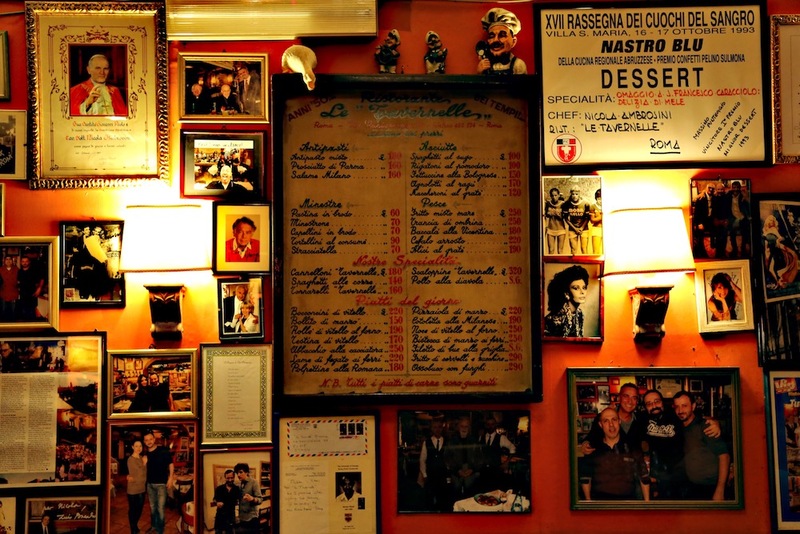 From the pictures on the walls the history of Rome of the 60’s and 70’s is told, the period of la Dolce Vita and the economic boom. 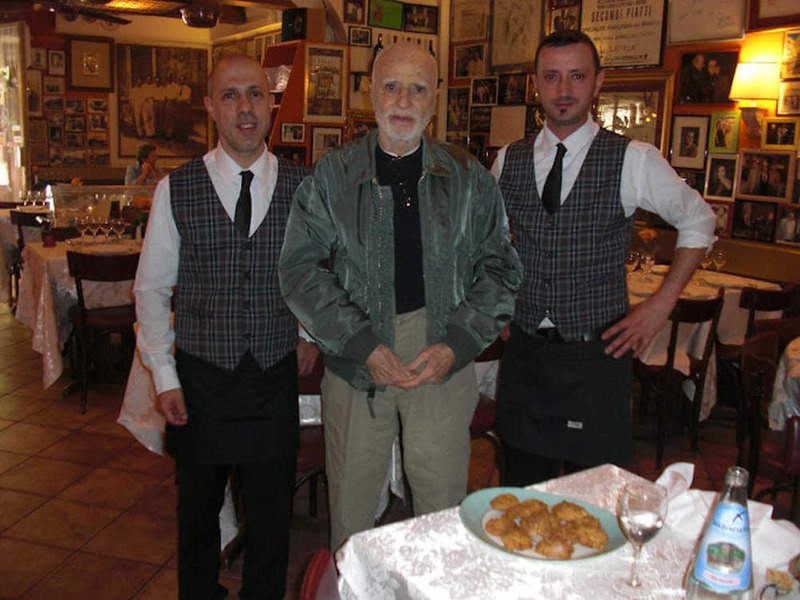 Mario Monicelli was an Italian writer and screenwriter and one of the most famous Italian film directors. “Big Deal on Madonna Street”, “The Incredible Army of Brancaleone”, “Amici Miei”, “Il Marchese del Grillo”, “The Great War” are only a few of his masterpieces. He often came to the restaurant for a quick lunch or accompanied by his family.He was more than just a client, he became a true friend. 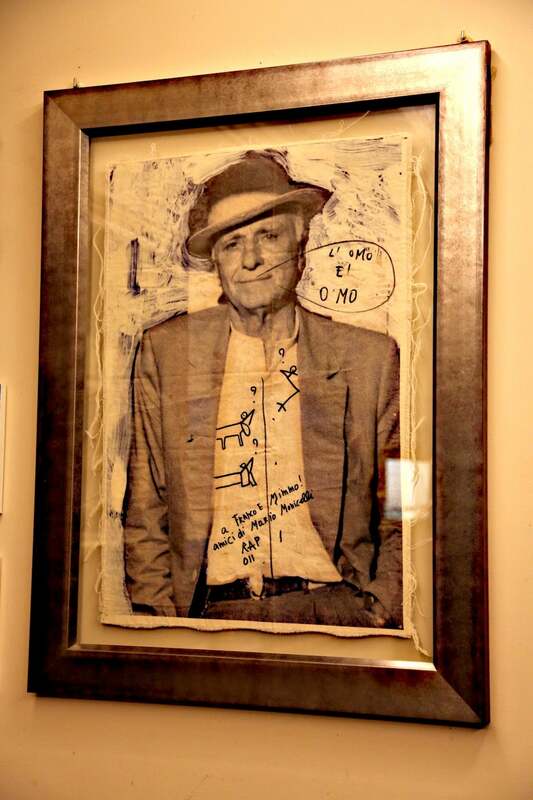 In his honor, we expose with proud his portrait, a donation from his wife Chiara Rapaccini.The portrait can be admired in one of our rooms, dedicated to Monicelli. 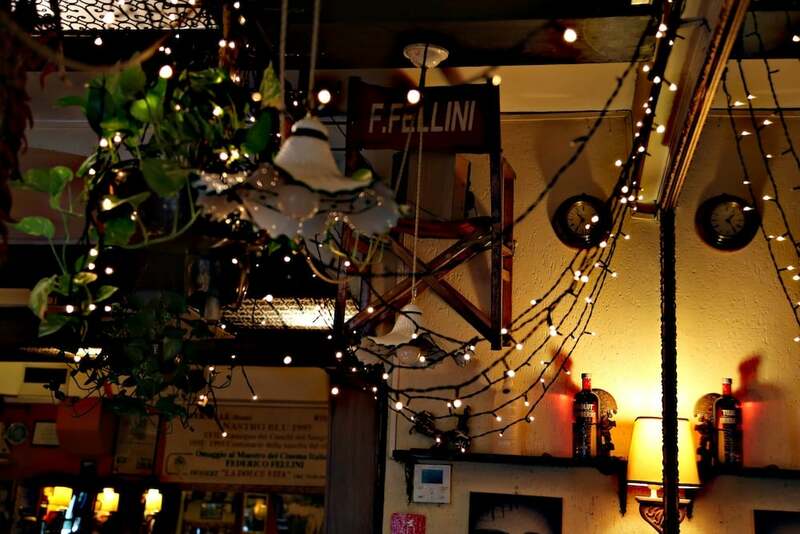 Fellini’s photography embraces Benigni, Loren, De Sica, Sordi, Mastroianni and almost all the Italian cinema, is exposed on these walls.Le Tavernelle in Via Panisperna is a place where people from the show biz, with the most discerning palates, join. 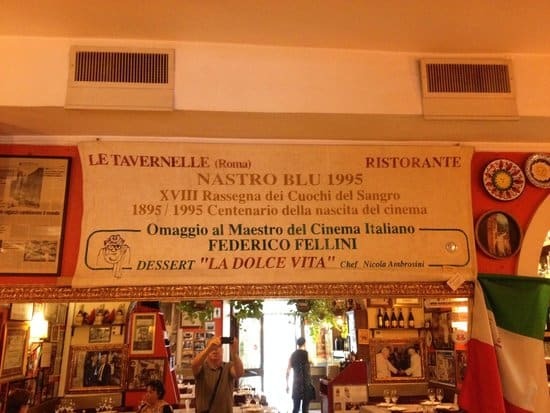 When, in 2002, Franco and Mimmo were working at Le Tavernelle, Bishop Golder came to the restaurant in order to arrange a lunch for 80 clergymen and the Pope , on the occasion of the 300 years celebration of the Pontifical Ecclesiastical Academy. He mandated the chef Nicola Ambrosini to create a unique dish representing the Pope, the ravioli “alla Zarina”. This dish is made up of homemade ravioli stuffed with spinach and ricotta cheese, served in a milky cream, smoked salmon and caviar. 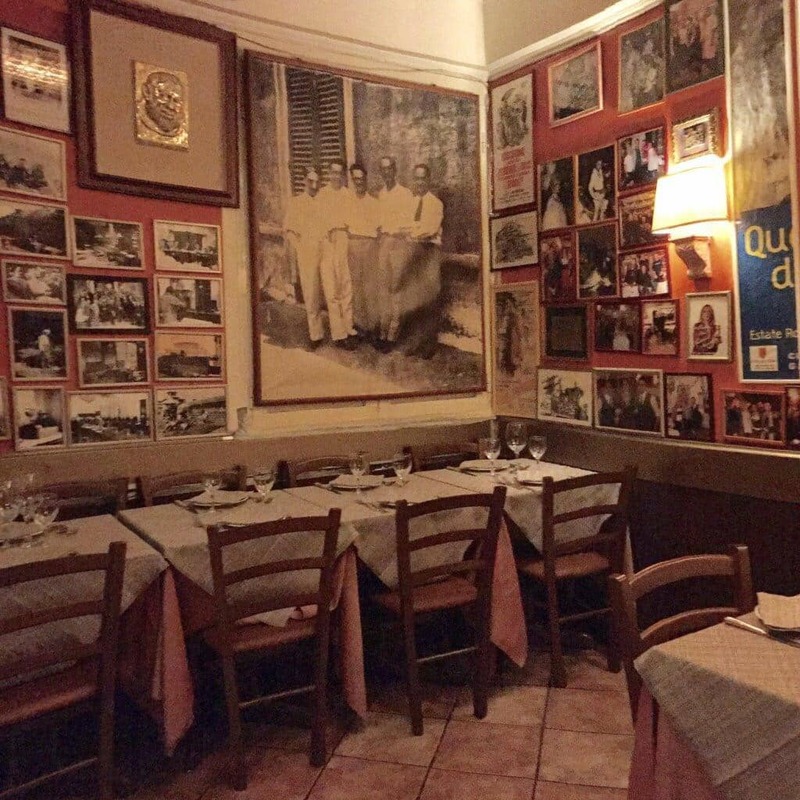 It definitely was a great honor for the restaurant to serve this creation to the Supreme Pontiff, who had been a client of Le Tavernelle when he attended the Angelicum.In order to honor this memory there is his picture of Pope Wojtyla on the wall.